The video for this blog is here. God is pointing us toward revival, intentional reformation, and Kingdom, and He’s inviting us to be more practical and strategic. Waiting on God and prayer are good and essential, but the Lord is inviting us to implement our prayer in our lives and our cultures in practical ways. That’s the message of the Kingdom. We’re here to change the world in a great way. Kings bring revival and reformation intentionally. 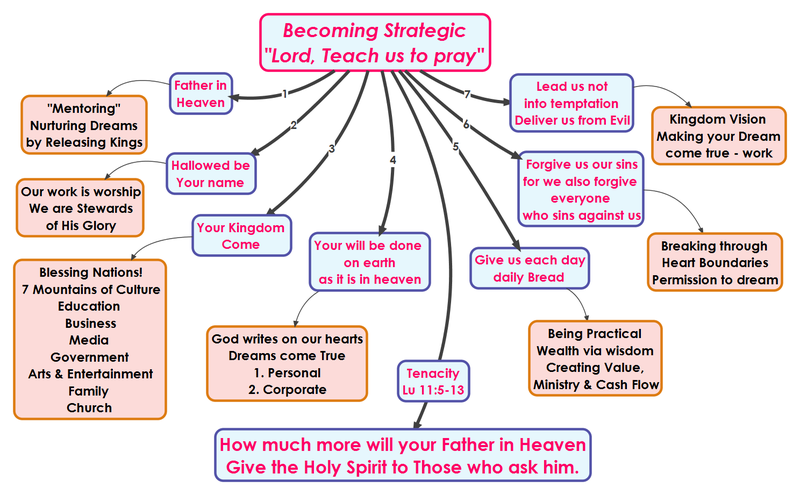 We have the opportunity and the anointing to create the strategies that bring His Kingdom on earth as it is in Heaven. Here is a concise summary of the strategy with links to prior articles on individual topics. What’s unique? Kingdom strategies that impact nations are laid on the foundation of strategies of the heart. We’re celebrating one another’s success. God is helping us out of the crab pot and into the Kingdom. 1. 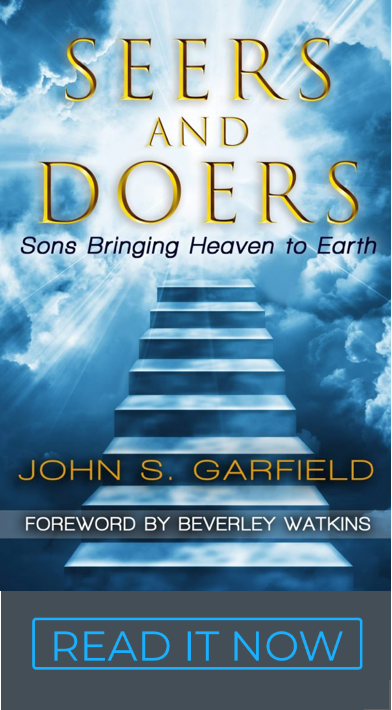 Mentoring (Father in heaven) – There is an apostolic ingredient in Kingdom of having a father and becoming one. It’s not about hierarchies and accountability; it’s all about connecting hearts and nurturing the dreams that God wrote in those hearts. Leadership used to create servants, “me holding you accountable for my agenda.” Real leadership releases Kings by helping people connect with what God wrote in their hearts and holding them accountable to make that dream come true. We are all motivated by our own dream – God designed us that way. It’s exciting and it produces Intentional Graduations into Kingdom destinies. 2. Work is worship (Hallowed be your name) – Worship is a deliberate act of setting aside time in God’s presence to focus on Him alone in prayer, meditation and singing His praise both corporately and devotionally. In addition, we are breaking through the dualism of separating sacred and secular, spiritual and natural; our worship is in both Spirit and Truth. We are integrating our hearts to be holy and whole and holistic. Worship is more than just words. We are no longer just offering the sacrifice of our time, money, words and songs. We are the offering that God desires; we’re offering him our lives as living sacrifices. Our work can bring us glory that we can offer to God. Our creativity, industry, fame and wealth can all be a reflection of God’s glory on us, and can be offered back as on offering of worship to God and ministry to men. Everything on earth glorifies God when it is fully developed, including you. If you hide your glory, you are robbing God of His glory. Allow yourself to be appreciated, celebrated, and seen. You are God’s creation; you carry the Spirit of Jesus. Being who you are and fulfilling your dream is one aspect of worship. Our vocational work can be an expression of our heart and an act of worship that builds the Kingdom and brings glory to God. We are not just spending time in His presence, we are bringing His presence into our culture… and using his prophetic anointing and gifts of the spirit in the mountain of our vocation. We are Stewards of Glory. 3. Blessing Nations (Your Kingdom come) – As believers, our mandate is not just waiting for the rapture. We’re here to bring His Kingdom to bless the nations (Gen 12) and to make disciples of all nations (Mt 28). It’s our job to fix what is broken in our culture and to be leaders in every mountain. Our Christian calling finds it’s fulfillment outside the four walls, inside one of those cultural mountains. That’s where real ministry doors are opening. Discipling Nations Starts with Me. 4. God writes in our hearts (thy will be done) – The hallmark of “Kingdom” is that God is promoting us from servants to friends. Servants just do what they are told; friends share God’s heart. We are finding the will of God in the desires of our own hearts, and realizing that building the Kingdom is a personal dream come true. This is the essence of the Gospel of the Kingdom. When we share that Jesus is building His Kingdom, that we’re invited to play a role, and that our vocation and business have a Kingdom purpose… we find purpose for our lives and run toward it. Christians and pre-Christians have not heard this Kingdom message before: believers with permission from God to dream. It’s amazing! We’re moving from the Pew to Purpose. 5. Wealth Creation (daily bread) – Kingdom is moving us toward a better balance between spirituality and wisdom. Money is a tool that we use to build our dream, our ministry and God’s Kingdom. There is a clear Biblical connection between wisdom and the ability to create wealth – it’s practical. This wisdom produces business plans and cash flow to “count the cost” before we enter the warfare. The challenge that each of us faces in this hour is finding our vocational calling… one that creates wealth, ministers to people, and blesses our cities and nation in a way that builds the Kingdom. Seeing the Kingdom is one thing. Entering the Kingdom is all about making something good happen in a spirit of wisdom and excellence. What does it feel like? …love. Wisdom manifested in a man is amazing, attracting, and wealth-creating. It pulls people toward God. Solomon is Wisdom’s example; Proverbs is her book. Your assignment is to look in the mirror and realize that Solomon in all his glory and wisdom was not cared for more than you… We just have to ask… in faith. God is giving us a Spirit of Wisdom. 6. Breaking Heart Boundaries (forgive) – Most of us have boundaries in our hearts that represent vows from our past which have cemented into ceilings for our future. Changing the beliefs in our hearts about our own identity and potential is a key step of inner healing before we can go to the next level. Our hearts have led us, and keep us, precisely in our current station of life. We may think that we can change by changing our minds or attitude, but 90% of everything we say and do comes right out of our hearts and is very resistant to change. Our hearts will let go of the safety of the “old” for the risk of the “new,” but we have to have a good reason. We let go of our brokenness and forgive when we really understand that we can “trade up” for our destiny and break out of the cycle of being stuck at our current level. The concept of inner healing used to be just about letting go and forgiveness. Now we understand that our hearts need to be lovingly invited into our Kingdom destiny. That’s a good reason to let go of the status quo and take the risk of change. We’ve seen this change occur in hearts… our own included. We’re very intentional about developing Strategies of the Heart. 7. Vision (deliver us from evil) – The greatest deliverance from temptation comes from pulling the curtain back on the Kingdom and being tempted by the good things that God has for us. God is the author of pleasure, joy and purpose (Ps 16:11). It is always the goodness of God that draws us to repentance. Our hearts let go of the old when we get a taste of the new. I share the gospel of the Kingdom by helping people to get in touch with the desires that God has already placed in their hearts – it’s an “experience” with the prophetic presence of God. When we touch their Kingdom purpose in the prophetic language of the heart (love), change happens and people choose Jesus and His Kingdom. It’s even true in corporations. What we once judged as “evil corporate empires” now have a call from God and they are choosing Jesus. God has unveiled both personal heart plans and Corporate Heart Plans and some great Tools for Business Starts From Hearts. Jesus closes his outline of strategic prayer with this reality, “How much more will your Father in heaven give the Holy Spirit to those who ask Him.” My greatest discovery and treasure is how much the presence of God is on this Gospel of the Kingdom. I’m always taken back by the prophetic anointing and the impact in the hearts of people. We really are touching another reformation. The Holy Spirit is present and powerful in the marketplace. This strategy makes life a lot of fun. Our hearts are engaged in something we enjoy that is also in the Fathers heart. We make a difference in our communities and nations. We connect with the hearts of people in an experience with love. Our cups run over in the spirit and in the natural. God is inviting us to a Kingdom lifestyle; Have Fun, Make Money, and Love People. It’s an experience of the heart and He has given us a Kingdom Primer. You’re invited!